Please be aware! 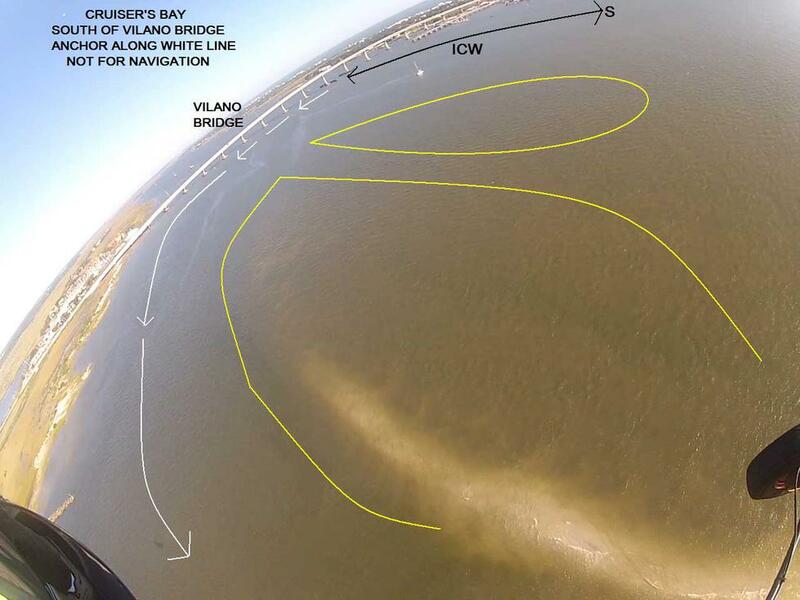 – The current can run an average of 3 knots with a tide fall of nearly 6 feet. Use a Bahamian Mooring configuration so you don’t wrap your anchor and pull it out. (Don’t cheat on your scope). Novice Sailors, please take extra precaution to learn about proper anchoring techniques or, get a mooring ball. Exit the ICW at Green 7, just north of the Bridge of Lions on the east side of the river. This is a favorite with locals & transients alike. Unfortunately, there can be a mess here in high season because of its close proximity to the city. Locals who are anchored there have at least 200 feet of scope out, both to the north & the south. If you decide to anchor here, be sure you know what you are doing. Often our transients use too little scope and only one anchor. 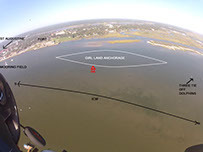 South of Vilano Bridge Anchorage: Exit the ICW two different ways. 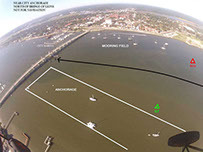 When on the ICW North from the inlet, you may exit the ICW just before the bridge inside the no wake zone and travel west parallel to the bridge before turning south into the local unmarked channel which runs along the west side of the river in Cruisers Bay. This channel may also be entered from the ICW headed south toward the city. Exit between Red 2 and Red 2A once you exit the ICW the local channel will slope slowly. Exit the ICW at R6. This is a great spot to anchor just to the north east of the Fort and the City's north mooring field. The holding is good but set your anchors hard as the bottom is mostly hard pack sand. The closer you get to the mooring field the more mud you find. This is plough mud and it's not nice to get on the bow when you pull it up. The little island to the west is ideal for walking the dogs or cleaning the bottom of the dink. Exit ICW between G57 and R54 and anchor on the west side of the river. Lots of deep water. The bottom is hard pack white sand no mud. Set the anchors hard. Very easy access to the Five waterfront restaurants of Cruiser's Bay. The Public Dock at Vilano is the best access to shore, shopping and provisions.